The Macro Barista (Alex) is all about sharing healthier versions of Starbucks drinks. The recipes are incredible, the photos of each drink are amazing, the social media following is more than solid, but there was not much there in terms of design. While Alex was doing well to this point, he was ready to take his brand to the next level. Alex and I collaborate often on various Instagram posts for @themacrobarista to help keep the content fresh and exciting. The brand had no logo previously, so we came up with a new logo for The Macro Barista that could also be used in selling apparel, too. Alex was also launching a small coffeeshop, GRND: More Than Coffee. To help with that launch, I put together a new logo and overall brand to use for menus, marketing materials, and more! 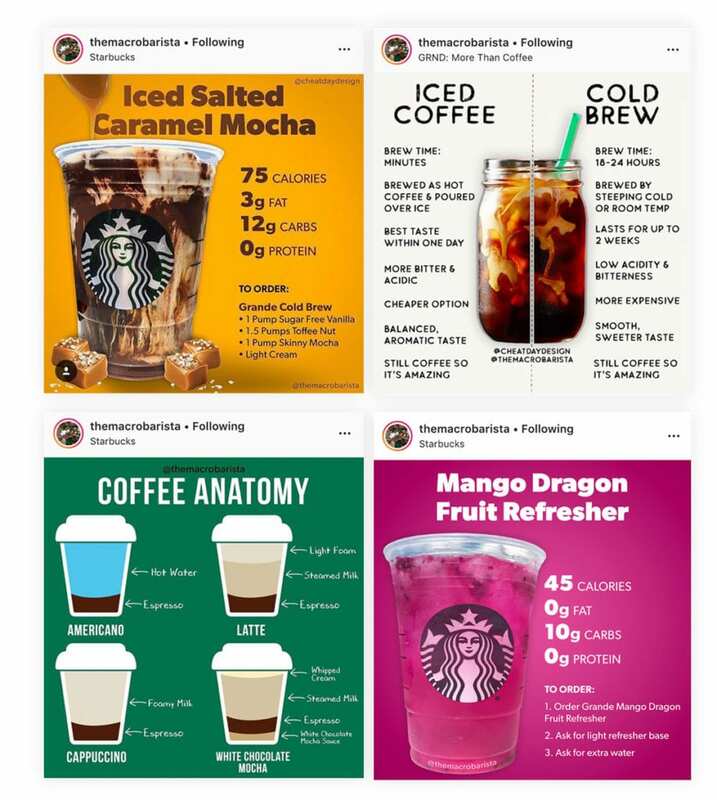 @themacrobarista is a beautiful Instagram profile featuring truly aesthetic Starbucks drinks. However, sometimes it’s beneficial to switch things up. I will occasionally help to put together some text-based graphics to display the drink and the relevant info/recipe to give people a convenient bookmark-able post to come back to. I’ve also helped to put together a few infographic posts that help tp educate people on the different types of coffee and the various benefits. Alex wanted to a logo that could stand on it’s own for his “Macro Barista” brand, but also be printed onto apparel. Being a dog lover, he really wanted to somehow incorporate his two dogs into the design. 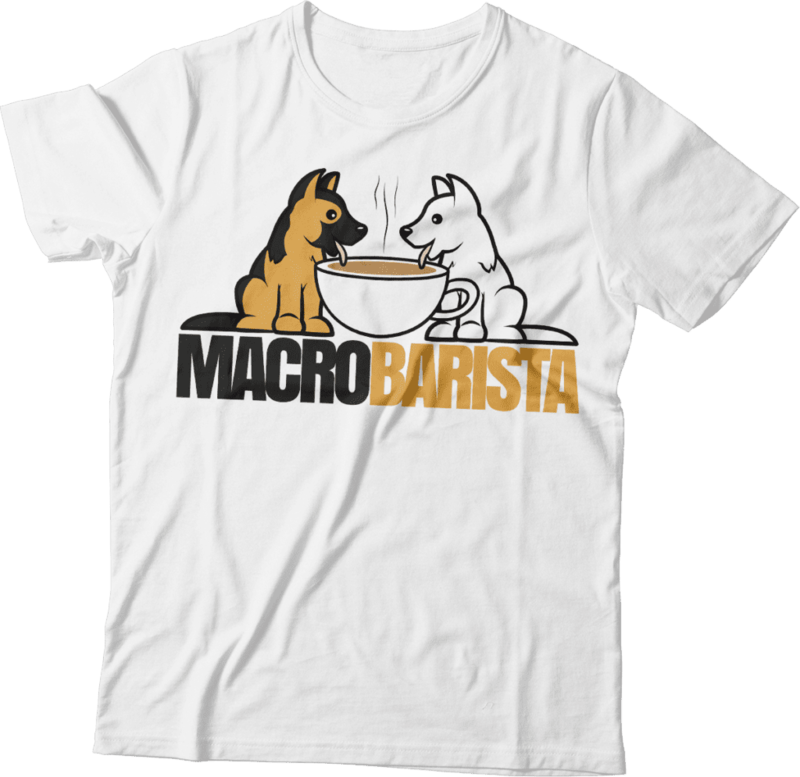 The final design features his dogs drinking out of a giant cup of coffee, rather than a water bowl, with the words Macro Barista below it. The logo uses only 3 colors, making it ideal for print, and encompasses exactly what Alex wants his brand to represent. I mean, are there two things greater in this world than dogs and coffee? In life we often encounter difficult situations. We are beaten down, chewed up, and pushed to our limits. It is our inner strength that allows us to persevere. Through this process we become smarter, stronger, and more adaptable than before. This Is the GRND. 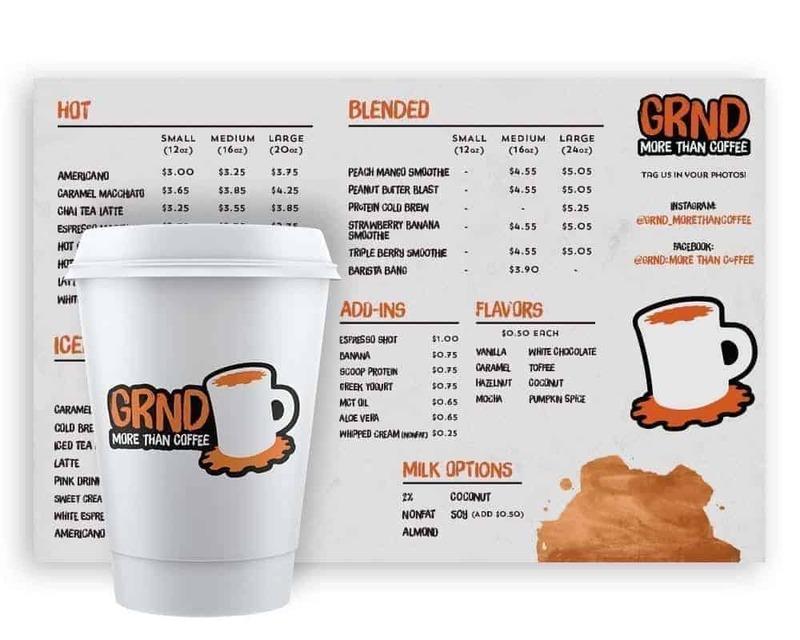 The GRND is a coffeeshop owned and operate by The Macro Barista himself. I helped to not only create a logo for the shop, but also help create the full brand. By nailing specific fonts and colors, we have been able to create a manifesto, flyers, menus, and more!